He arrives in a a small town somewhere in Texas, quickly befriending a legendary local pastor who has left the calling. Rallying the local people isn't too hard, as there is nothing else for them in this small back water place but God and faith, both of whom have been absent for a while. 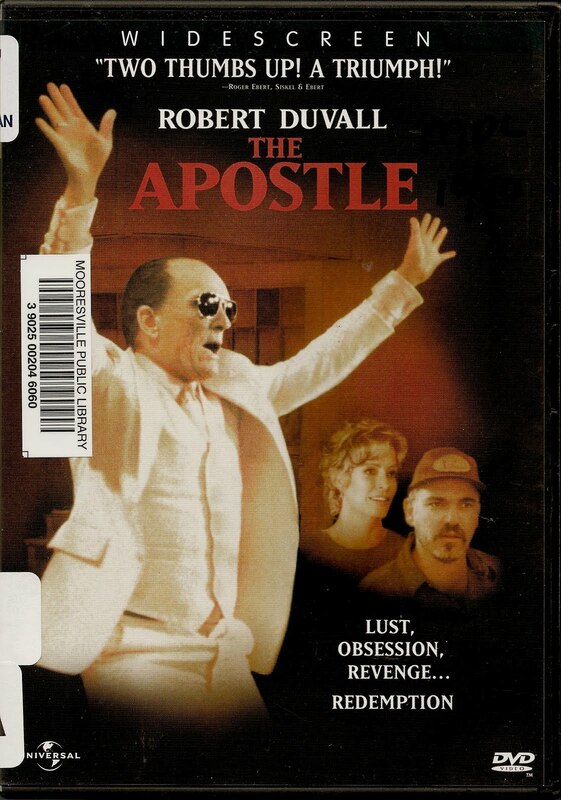 They quickly cling to Robert Duvall and through their assistance he manages to set up a local church that serves to revitlize the spirits of the congregants. He is happy with his accomplishments,, while still dreaming of a reconciliation with his wife. But there is a warrant out on him for murder, which does catch up, posing the question as to whether or not the good we do ever really vindicates the evil we have left behind. With excellent performances by all, I was especially surprised by the apperance of June Carter Cash, and the depth and authenticity of her performance. The movie was filled with beautiful string, and even zydeco music. Billy Bob Thorton is wonderful in his brief appearance as a man who wants to do right, but it does take a moment of truth before he finally makes the right decision. At a little over 2 hours, this 2003 film is a bit long, and perhaps that is what put me off the first time I watched. But stick with it, if only for the outstanding performances of the entire cast, as well as the lush scenery of Southern Texas and Louisiana. This is a very nuanced and slowly paced film, with a lot to offer, if you take the time to really watch it.